Coronary artery spasm has been shown to be one of the mechanisms responsible for myocardial infarction with non-obstructive coronary artery disease (MINOCA). Despite this having been demonstrated convincingly several decades ago many physicians still question the role of coronary artery spasm in the genesis of acute coronary syndrome (ACS). Researchers in different countries have reported a direct association between vasospasm and acute myocardial infarction in patients without coronary artery stenosis. (1,2) Among these, the CASPAR (Coronary Artery Spasm as a Frequent Cause for Acute Coronary Syndrome) study (2) showed a high prevalence of MINOCA and coronary artery spasm as its pathogenic mechanism. Indeed Ong et al (3) found that 138 of 488 ACS patients undergoing emergency coronary angiography had non-obstructed coronaries. Of these, 86 underwent intra- coronary acetylcholine (ACh) provocation for the detection of coronary spasm, which was positive in 42 patients (49%). These findings indicate that diagnostic strategies in MINOCA should incorporate the routine assessment of coronary artery spasm with provocative tests such as intracoronary Ach, particularly when no other obvious causes have been found. Coronary artery spasm tends to recur in a proportion of patients and hence its diagnosis is important to implement preventative measures. An interesting question that a recent follow up study has also addressed is whether the prognosis of MINOCA patients with coronary artery spasm is similar to that in patients with AMI and culprit coronary artery stenoses. Data are limited regarding clinical outcomes in MINOCA patients in whom coronary artery spasm is the pathogenic mechanism. A 3 year follow-up of patients in the CASPAR study provided interesting data on incidence of death (cardiac and noncardiac), nonfatal AMI, and recurrent angina leading to repeated coronary angiography. AMI patients with culprit lesions (n, 270) were compared with patients without a culprit lesion (n, 76) who underwent acetylcholine provocation testing. In patients without culprit lesions there were no cardiac death or AMI during follow-up. Of interest, and attesting to the recurrent nature of coronary spasm, 38 of the 76 Ach patients reported persistent angina requiring repeat angiography in 3 cases (3.9%). Thirty of the 270 patients (11.1%) with culprit lesions died from a cardiac cause and 13 (4.8%) from a noncardiac cause. Eleven patients had a nonfatal AMI (4.1%) and 27 (10%) required repeat angiography due to persistent or recurrent angina. Patients with culprit lesions had a higher mortality and more coronary events compared with those with unobstructed arteries (p< 0.0005, log-rank test). The CASPAR follow up study (3) has limitations, mainly its small sample size, and hence conclusions need to be put in the right context. However, it is important that ACS patients without culprit lesions and proof of coronary artery spasm had good prognosis regarding survival and AMI at 3 years of follow up compared with patients with obstructive ACS. The study also showed that recurrent angina is common in these patients, most likely as a result of recurrent coronary spasm. Prospective therapeutic studies are now necessary to ascertain whether effective treatment of spasm improves symptoms and reduces hospital admissions as well as repeat coronary arteriography. Educational programmes highlighting the role of coronary spasm as a cause of MINOCA are necessary to inform healthcare professionals of the relevance of this mechanism. Wang CH, Kuo LT, Hung MJ, et al. 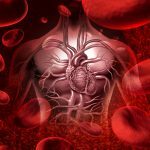 Coronary vasospasm as a possible cause of elevated cardiac troponin I in patients with acute coronary syndrome and insignificant coronary artery disease. Am Heart J 2002;144:275–81. Ong P, Athanasiadis A, Hill S, Vogelsberg H, Voehringer M, Sechtem U. Coronary artery spasm as a frequent cause of acute coronary syndrome: the CASPAR (Coronary Artery Spasm in Patients With Acute Coronary Syndrome) Study. J Am Coll Cardiol 2008;52: 523–7.